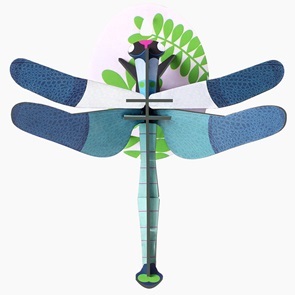 Beautiful 3-d object of a blue dragonfly. 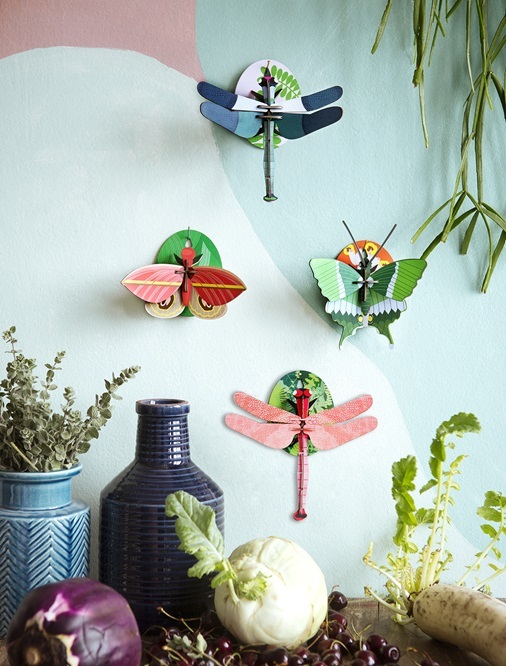 Imagine yourself as an explorer, a scientist or an artist and be inspired by these wonderful butterflies and dragonflies. 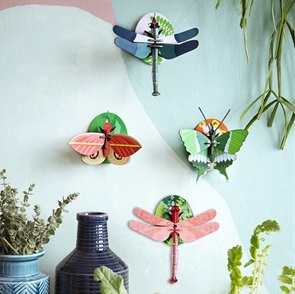 Build the butterflies and dragonflies, play with them and hang them on the wall as decoration. 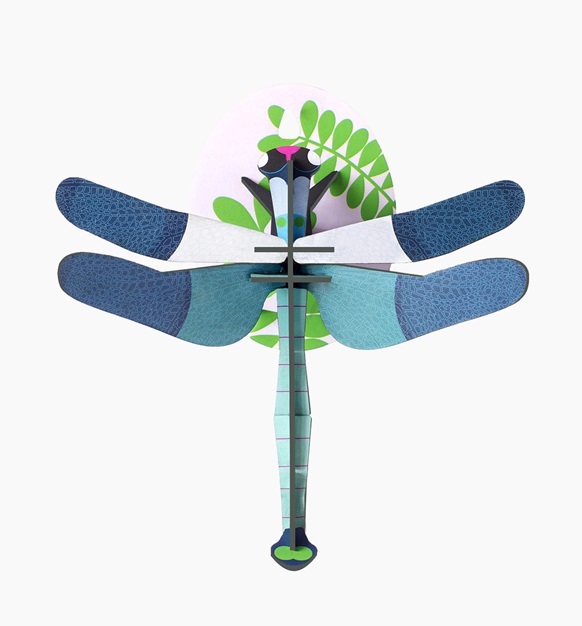 Dragonfly is a 3D object that you can easily build yourself. Comes in a nice flat box including the easy instruction. 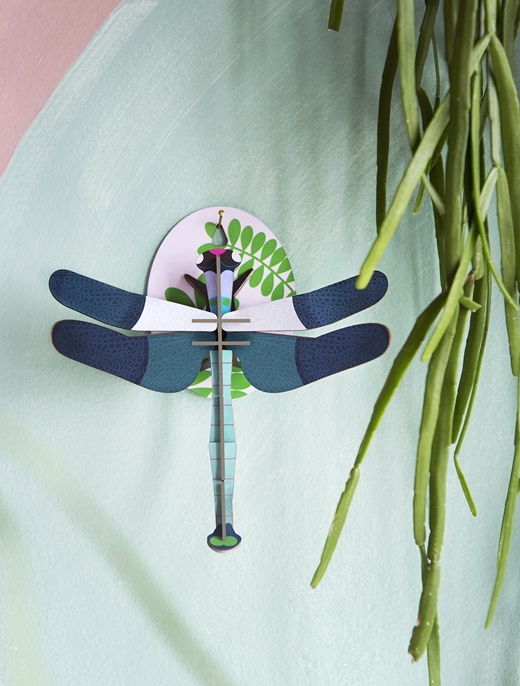 Made from sturdy thick recycled cardboard and printed with vegetable inks. Dimensions built up: 17 X 8 X 19 cm. 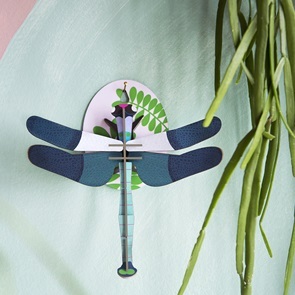 Comes flatpacked; 4 x B6 sheet with 17 pieces. Delivery time: Usually ships in 1 to 3 business days.